Gratitude abounds at the Haywood Street Congregation’s weekly lunches known as the Welcome Table. You can hear it in the friendly chatter. You can see it in the smiling faces. You can feel it in the handshakes and hugs. For Rev. Brian Combs, who started the ministry 10 years ago, the Wednesday and Sunday lunches stand as one key component of his work to reach out to men and women living on the margins of society. His message is one of acceptance. His goal: remind each person of their sacred worth. 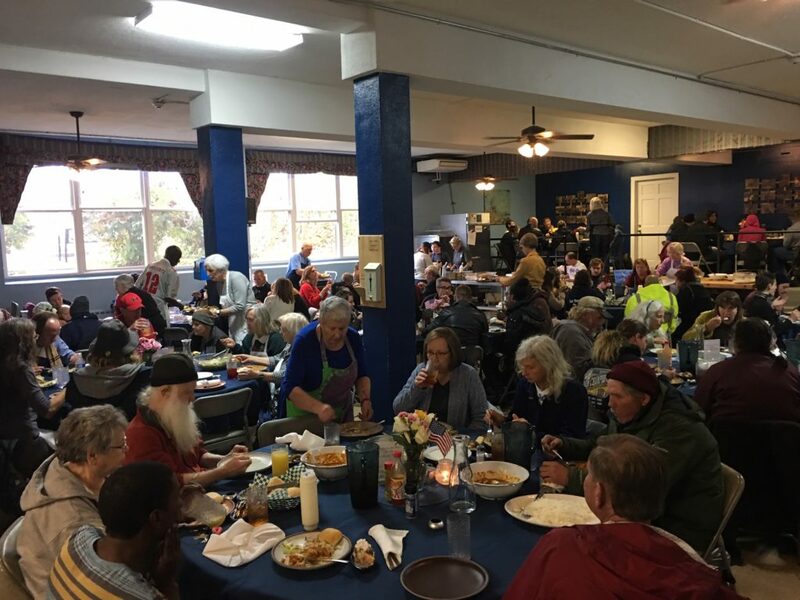 “This is really the opposite of what folks might think of as a soup kitchen,” Combs says as dozens of people stream into the Haywood Street church’s dining room for a recent Wednesday lunch. Volunteers aren’t called volunteers, their called “companions,” Combs says. New companions who come to Haywood Congregation to help are told not to help, but to just “be” on their first shift. People are also discouraged from just showing up on a Thanksgiving or Christmas holiday to help, Combs adds, for one simple reason. “We want to deepen community relationships,” he says, and that’s best done through thoughtful, sustained interactions. 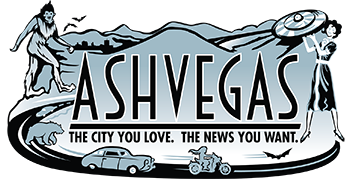 The lunches get a lot of attention because Asheville’s amazing independent restaurants have gotten involved by donating their food, and food preparation work, at least a couple of times a month. On this Wednesday, Chai Pani is serving up some of its delicious Indian street food, and French Broad Chocolate Lounge dished out scrumptious ice cream sundaes. The week before, Ambrosia restaurant and Karen Donatelli Bakery served lunch. Liz Button, of the Katie Button Restaurants group (Nightbell and Curate restaurants), says six local restaurants started contributing in 2013. Today, that number stands at 48 restaurants and seven food trucks, with more to come. Sysco and US Foods donate supplies, as do other local makers, including Celtic Sea Salt and Buchi Kombucha. The food is served up on hefty plates made by East Fork Pottery. 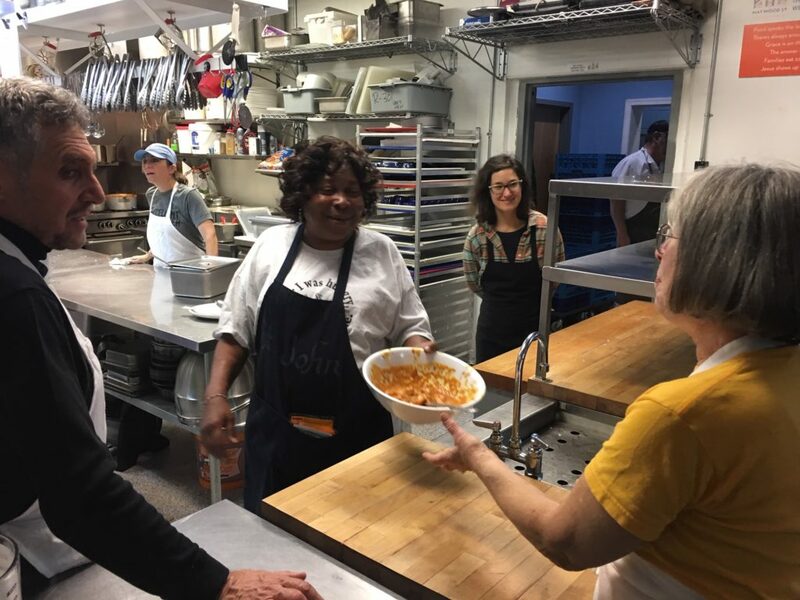 The lunches are a great way to give back and connect with the community, says Button, who, with Chef John Fleer of Rhubarb restaurant and a committee of many more, have powered the growth of the restaurants’ involvement. About 750 people join the Welcome Table each week, with the majority coming on Wednesdays. The Wednesday Welcome Table started in February 2010. The Sunday lunch was added in 2016. But Haywood Congregation offers much more than the lunches, says Executive Director Laura Kirby. The church’s community garden has become a vibrant gathering spot. There’s a church Clothing Closet. In 2014, Haywood Street Respite opened to offer a homelike environment where eight homeless adults at a time can stay for up to two weeks to finish their recovery from outpatient surgery or an inpatient hospital stay, Kirby says. And there’s more. The Daoist School of Acupuncture offers services on site, as does the Steady Collective needle exchange program. The I Am Home Art Project gives participants to make and sell their own art. And the Sunrise Community offers peer support and recovery assistance for people suffering from substance abuse and/or mental health issues. “There’s just been a groundswell of cooperation in the community,” Kirby says. Special thanks to Gary Charles of G Social Media for the Welcome Table video. Follow G Social Media on YouTube, @gsocialmedia on Instagram and Asheville Foodie Community on Facebook.